This year's 14th issue of Kodansha's Weekly Young Magazine announced on Monday that Kentarou Okamoto and Riri Sagara's Sounan desu ka? (Are You Lost?) manga will be adapted into a TV anime. The anime series will air in July 2019 on Tokyo MX, among other networks. The survival adventure manga began in Weekly Young Magazine in January 2017 and has been serialized on a bi-weekly basis since the fourth chapter. Kodansha published the third compiled volume last October, with the fourth volume scheduled for release on Wednesday. The manga inspired a stage play adaptation in November 2018. Kodansha Comics licensed the manga in English in September 2018 for digital release and published the third volume on December 4 last year. 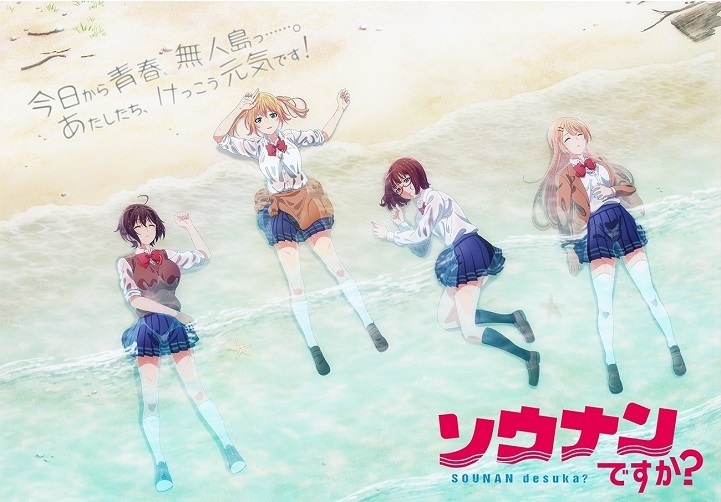 Unless they end up walking around half naked I don't see this series working at all... High school girls survival sounds as dumb as high school girls on warships. It's a survival comedy. And believe me, it worked. 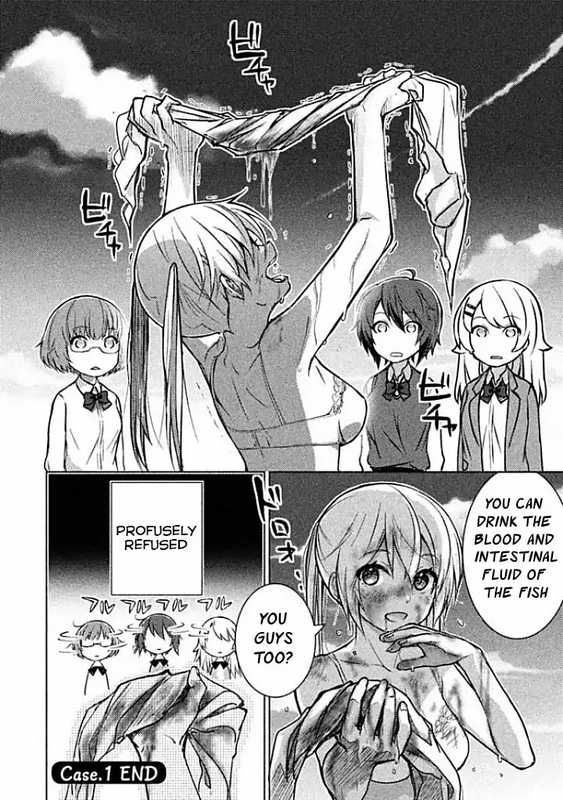 Manga version is actually quite educational. Check these out. These are what you can expect. To compare it to hs girls on warships makes me even more hype. Now I got something to look forward to! I enjoyed the Happy Sugar Life anime so hopefully this will be entertaining too, for one thing they’ve got the same Director! Synopsis sounds rather intriguing too, and the music is guaranteed glorifying thanks to Akituki Tateyama. Looking forward to this, I suppose. Oh nice, I had some interest on this manga, looking forward to this anime. That's some cheap looking animation and art and would've rather if it took itself seriously and wasn't too "comedic" and was more "dark"
Looks like JK Bear Grylls and 3 plot devices. I guess it might work as a pure comedy. Yuru Camp special ep 3 was great, so if this wilk be similar, I'll give it a shot. This is good news. I just caught up on this a couple days ago. MAL says it's drama, people say it's comedy. If it's really the latter then it sounds like something I'll ejnoy. Seems like another series thats only relevant because of fan service. It isn't related to it. It's pretty much a comedy with many educational parts about survival and a bit of fanservice sometimes. The fanservice is minimal compared to the other elements of the series. The survival information is it's biggest thing. the main manga i've been making an effort to read and no one linked me here? This looks interesting. There aren't many manga or anime that I know of that are about island survival. This really is an interesting setting and there are a lot opportunities for the development of an intricate and detailed plot. I hope that it does not delve too far into comedy, though. Looks boring, skip it and buy this instead. It seems interesting and funny. Looks pretty nice, will be checking it out. This could be mediocre or it could be a big surprise like Yuru Camp. Looks pretty fun, looking forward to it. Looks nice, another Ezo'la anime from the same director as Happy Sugar Life. Why does this setting remind me a lot of the TV series 'Lost'??? The PV looks alright but... I'd say the people in the staff looks decent. The animation of the PV is not pleasing to my eyes, but I can overlook animation in favor of good jokes in a comedy. this is like danberu nan kilo. the author is legit enthusiast and expert in the field and make educative series about their knowledge then use comedy fanservice to make it entertaining. his previous works is non fiction autobiography manga about author life as an actual hunter. it's not everyday you get mangaka who is also a hunter. "The hero and author of Sanzoku Diary is Okamoto Kentarou. When he was young, he lived out in the country, and he knew an old man who was a hunter. In 2009, Kentarou was inspired to leave Tokyo and return to Okayama Prefecture to become a hunter himself. Using an air rifle and traps, Kentarou hunts, prepares and eats various animals. The manga covers all his hunting-related activities in close detail." his previous works is way more like guide books, it's gritty and realistic. so yeah, keep being prejudice just because there is fanservice, you will gain nothing. 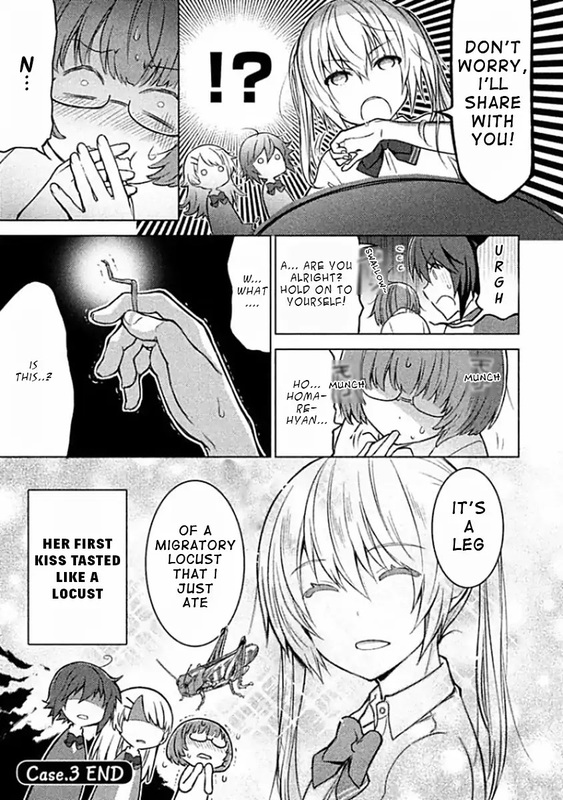 also for moodie so you don't get wrong expectation..
this is Ryuuou no Oshigoto and sangatsu no lion all over again... one works is looked down just because there is fanservice, despite it has author of actual shogi player and the one appreciated by shogi association. It looks pretty good. Looking forward for it. 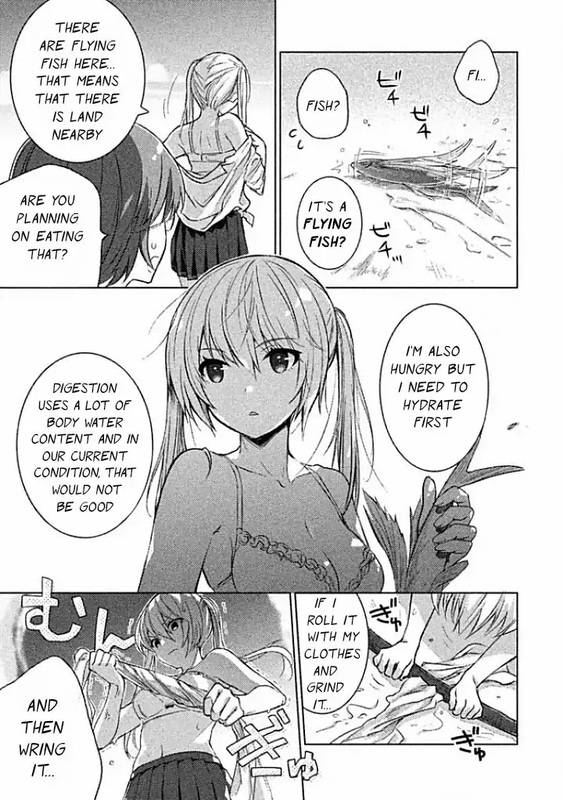 As many said already : some good survival tips, light-hearted, contextual fan-service (girls on a beach with warm climate). It goes along the line of Yuru Campu but it's a lot less nice-cute-warm-fluffy-cosy so it might not be the cup of tea of any Yuru campu fan. Sounan desu ka will probably not be as popular even if the adaptation is good. @Kuma You piqued my interest a bit with the info about the author. I'll give this anime a try. I'm a simple man. I see Waki Azumi in the cast, I PTW. Plus, it looks interesting and probably gonna have lots of fanservice. Sweet. Kiyono Yasuno will be performing ED song. Title will be announced later.